Now to be fair, neither am I. But way back in my university days I specialised in religious philosophy and made a point of reading the holy books of most mainstream religions. Naturally this included the Bible. So when I first came across the bunch of clowns that is Britain First I was pretty dumbfounded at their audacity in claiming their actions to be in any way consistent with the Christian faith. I’ve dug out my Bible to explore whether Britain First can qualify on any level as being the Christians they claim to be. The basic premise of the Christian religion is that the New Testament of the Bible updates the faith and supersedes the teachings of the Old Testament. (Theologically it’s a little bit more complicated than that but as a gist that explanation holds water). So the five examples I’m going to look at are from the book that according to the Christian faith brought the word of God directly to the people. These are the tenets that any modern Christian considers the fundamentals of their faith. So do Britain First love others? Well no they do not. Take for example the appointment of Sadiq Khan to Mayor of London.. 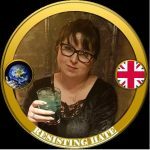 The official response from Britain First was that they “would not stop until all Islamist occupiers are driven out of politics completely.” They went on to threaten “militant direct action” against Muslim officials. This is less praying for their ‘enemy’ and more deliberately setting out to target their ‘enemy’ as an object for their hate. Britain First have a major hate fixation with the Islamic faith and it runs to abuse on a much deeper level than just calling them common. Jayda Fransen hit the headlines in 2015 for threatening to bury the severed head of a pig on a proposed site in Dudley for a mosque. Other members were arrested for a “Christian” crusade on the streets of Bradford which involved thrusting cheaply printed Bibles on any passer by they believed to be Muslim (pretty much equating to anybody who looks Asian). Eventually he police sought an injunction to have Britain First banned from every mosque in the country due to their harassment and intimidation of local Muslim communities. 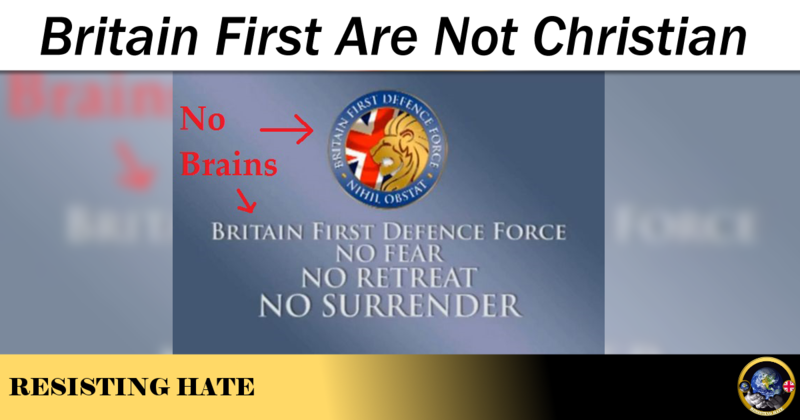 Britain First’s grasp of their own language isn’t great so nobody’s hopes were high that they would understand the Arabic word taqiyya (broadly defined – It is acceptable in some denominations to deny the Islamic faith in situations involving threat to life). However the group went several steps beyond their own ignorance and deliberately spread lies about the meaning of the word to accuse pretty much the entire Muslim population of being liars. They also used their Facebook page (prior to it being suspended) to mislead the general public into liking their memes of puppies and poppies to drum up an unsuspecting audience for their online racism. The relationship between Britain First and the law is iffy to say the least. 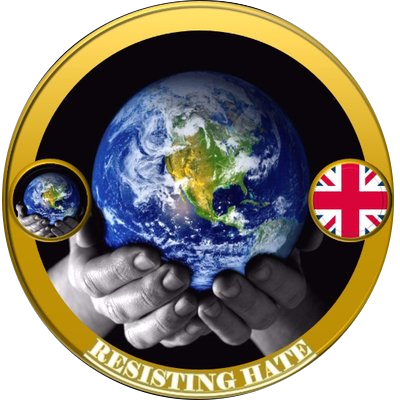 Both Golding and Fransen have been arrested on numerous occasions for anti social and illegal behaviour including distributing “abusive” promotion materials, conducting so called “Christian parades” and for hate conduct. Paul Golding has also been investigated by the Counter Terrorism unit. A poor case for a group of Christians submitting to the authorities. (Though the pictures of Golding signing on daily in various Police stations are very amusing). I could go on. I was unable to find a single passage in the New Testament that was consistent with Britain First demonstrating any Christian behaviours. This view is supported by every denomination of the Christian religion in the country as documented in an article by the Huffington Post in January this year. So in summary Britain First are so unChristian they could probably walk past Jesus Christ in the high street without recognising him. And even if they did manage to recognise him, given the fact he would undoubtedly look of Arabic descent they’d probably tell him to go back to his own country and chuck half a pound of bacon at him.